There is a presumption of attempted murder and of a crime with terrorist implications or the suspect may have a mental heath problem. Paris: A woman crying "Allahu Akbar" — "God is great" in Arabic — injured two people with a box cutter Sunday at a supermarket in southern France before she was detained. A customer in the store in the maritime town of La Seyne-sur-Mer was injured in the chest and hospitalized. A woman working the cash register was hurt less seriously, French radio station Europe 1 quoted the prosecutor in nearby Toulon as saying. Prosecutor Bernard Marchal said the suspect may have mental health problems. She has not been identified. Police were searching her home. "It's apparently an isolated case involving a person with psychiatric issues," the prosecutor told Le Monde newspaper quoted the prosecutor as saying. However, that does not exclude the possibility that the suspect was radicalized, Marchal added. "There is a presumption of attempted murder and ... of a crime with terrorist implications," Marchal was quoted as saying. Regional newspaper Nice-Matin, which first reported the 10:30 a.m. attack, quoted an unidentified witness as saying that people in the store stopped the woman from cutting anyone else. A sense of edginess has been with France since a murderous series of killings in 2015 in the name of the Islamic State group. Adding to concerns are the hundreds of French who have traveled to the Iraq-Syria war zone, or are returning as IS crumbles. 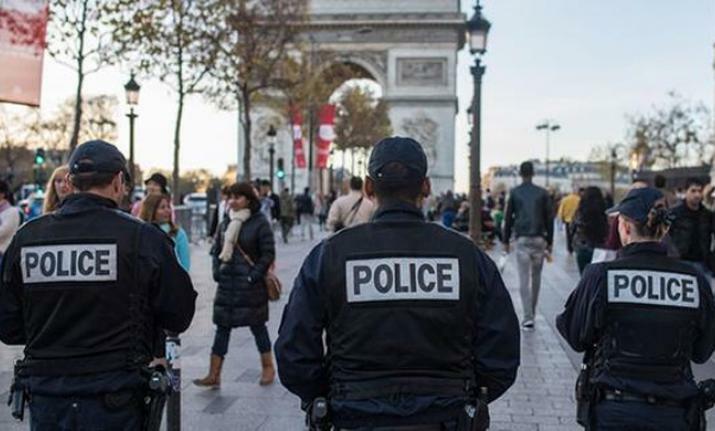 Last week, a man who took hostages in a Paris building was hospitalized in a psychiatric unit.